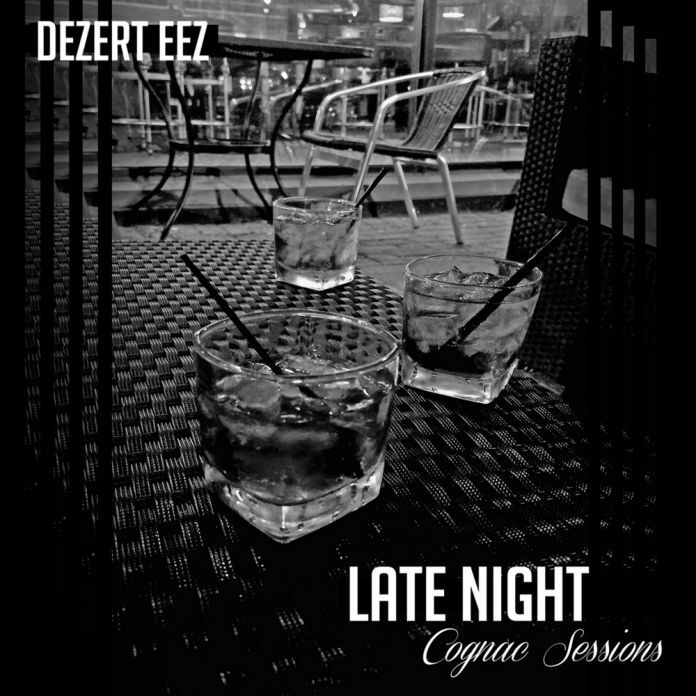 KALAMAZOO, Mich. - Oct. 17, 2016 - PRLog -- For their sixth studio LP, Late Night Cognac Sessions, Michigan trio Dezert Eez combine the best elements of soulful Boom bap and rugged mafioso Rap to deliver a unique, engaging listening experience. The trio of Ron O'nill, Nivek, and 5-Star have been steadily dropping impressive projects since forming in 2003, and LNCS may be their finest yet. It's a tightly constructed, cohesive record that packs insight, bravado, and chilled-out raps into just ten tracks, all of which feature different producers. Dezert Eez carefully sifted through over 60 instrumentals submitted through various producers within their circle in hopes of curating the perfect sound for their album. "We're artists so it wasn't a big deal," O'nill says of sorting through over 60 submissions in search of the perfect gems. "It was just a matter of making sure the vibe was there throughout the project," he adds. The sound of LNCS also pays homage to their influences (Native Tongues, the Wu-Tang Clan) while staying true to their roots. As 5-Star puts it, making the album was "easy for us," as the trio has invariably supplied "hard lyrics and soulful beats" to their fans. With regards to their lyrics, Dezert Eez remains potent no matter the topic. The group takes a more introspective posture on the standout "Kerosene Lamps," alongside frequent collaborator Bronze Nazareth, but they also light up and kick back with Talib Kweli on lead single, "Rolex Dreamin'." The album's only other guest feature is Skyzoo—"He is just dope!" Nivek notes—who appears on "Diamond Runnaz." Another highlight is "Cadillac Seatz," a fittingly titled joint made for late-night rides. When asked how they stay creative with nearly 15 years in the game, the answer was simple. "Music is our love," Nivek says. "It's what we love to do." That much is made quite clear on LNCS, a true treat for Hip-Hop heads in 2016. Late Night Cognac Sessions is now available through all digital retailers and streaming platforms, through their Soul Krush imprint, via EMPIRE Distribution.